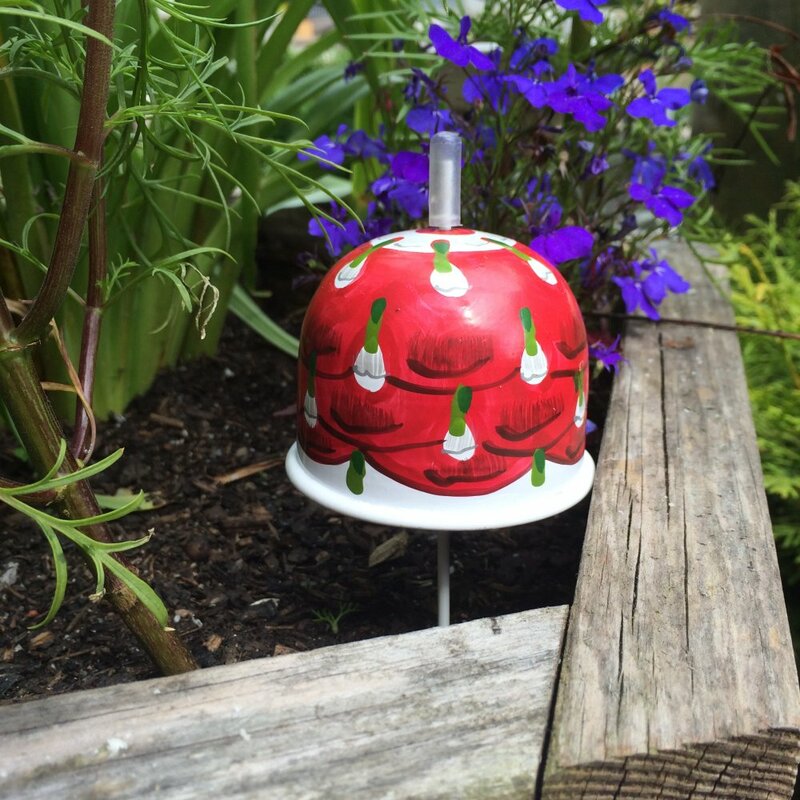 This tudor rose slug bell has been hand crafted, hand painted and varnished to reduce colour fading. It is made from metal which will last up to 20 years and is one of the safest ways of getting rid of slugs and snails in the garden. You simply pop your pellets into the mesh basket which is attached to a metal stick. 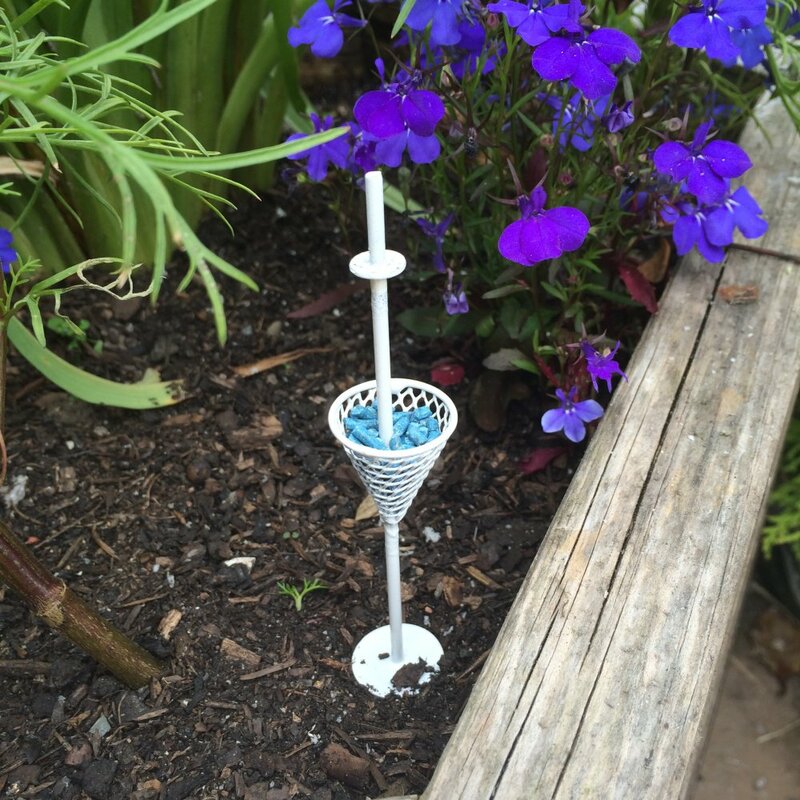 This all goes into the ground, the slug bell goes on top so that children and animals cannot get at the pellets. The design on this slug bell is inspired by the Tudor dynasty with its red flower design which is to encourage enjoyment of simple experiences and celebrates purity and freshness of life throughout the world.